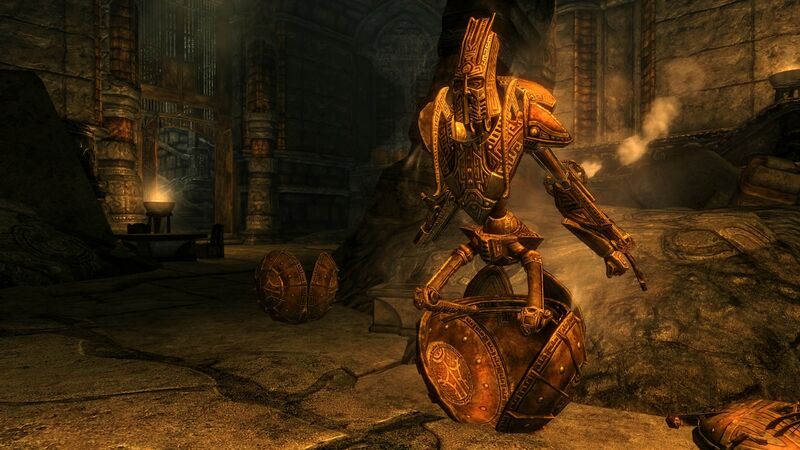 The Dwarven Spheres are strong so dealing with them will take some thinking. J’Zhirr sneaks past the Dwarven Spheres, taking care to stick close to the shadows. This one finds a high platform and positions himself on top of some rubble. J’Zhirr shoots a test arrow. It hits and bounces off the sphere, but this one notices that the arrow still causes some damage. The impact causes the machine to come out of the sphere and wander around looking for the attacker. It comes close to the rubble but as it cannot look up, it does not detect J’Zhirr.